Trying To Conceive? Can't Get Pregnant? Need Infertility Help? Should I read this book if we just started trying to have a baby and have had no luck so far? It’s amazing how slow the time passes when you are trying to conceive. You really only get to keep score once per month. If you are unsuccessful the first few times, a quarter of the year has gone by. If you continue being unsuccessful you can find yourself zero for twelve and a whole year has passed. By the time you take action and develop a plan you may end up in panic mode. I’ve seen infertility help and other books about trying to conceive. Many of them offer “get pregnant fast” promises. Why is this book different than other books that are out there? The first part of the book is about me and my personal struggle to get pregnant for over 3 years. I am just like you and I’m sure you will see a lot of similarities between your story and mine. It is my personal account of the ups and downs (not many ups that’s for sure) and my ordeal going through fertility treatment. I can prepare you for what to expect using drugs and conventional medical technology, but you may want to incorporate a plant-based approach immediately and not wait to see if you have any luck at the fertility clinic. Because I don’t want anyone to deal with the pain, stress, suffering, agony, self-worthlessness, disappointment, isolation and desperation that I felt. Going through this ordeal scarred me emotionally forever, not to mention the possible long term effects of the fertility drugs. I am committed to helping woman who are in the same situation I was in. I want to share the solution that worked so easily for me after enduring more than 3 years of infertility heartache. I know what it’s like, I’ve been there and I can help. I feel helpless, alone and embarrassed to tell anyone about what I’m going through. Did you talk to anyone or consider counseling while you were trying to get pregnant? That’s the strange part. There are close to 7 million women a year who have difficulty conceiving and yet you would think you were dealing with this issue all by yourself or with your partner. But to your point, no one wants to bring it to the forefront because we feel ashamed. We feel we are letting everyone down. We want desperately to become parents to a precious baby, we think about our parents wanting to be grandparents and everywhere we look someone else is getting pregnant and it’s not us? I did not seek any counseling and it was just my husband and I going it alone. Both of us are very driven and like to take charge, but this was something out of our control…or so I thought! What advice would you give for someone who is just beginning to realize that making a baby may not be as easy as I thought? Frustration is good because that means you are looking to take an action. Start dumping some good stuff into your body to prepare it to achieve and conceive. We prepare for so many things in life but no one ever told us what to eat to maximize the chances of getting pregnant. We navigate our fast-paced on the go lifestyles full of processed foods, fast food, soft drinks, caffeine, and additives and preservatives we can’t pronounce while ingesting animal products …it’s no wonder our bodies can’t support a live being inside. 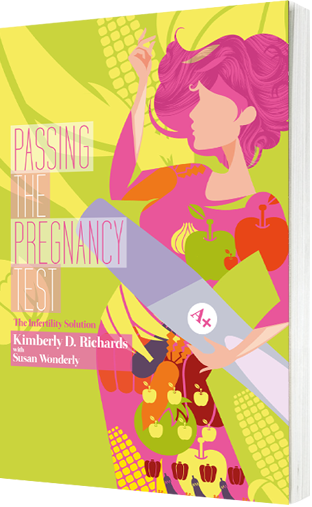 Who are some of the experts in your book and how can they help me get pregnant? There are 11 experts in the health industry ranging from doctors, scientists, culinary food authorities, athletes and others who discuss the power of a plant-based diet. This is the same approach I used and I wish I had discovered it sooner. 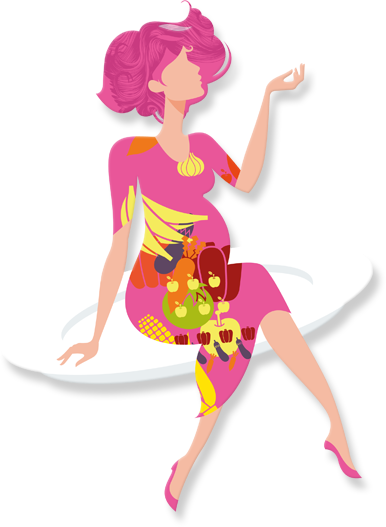 How long did it take you to become pregnant once you changed your diet? In addition to offering all of the programs and services available through Wellness Forum Health, Kimberly is available for informed decision-making discussions, nutritional counseling, and menu planning. Telephone consultations are available. special events, news and promotions.